There are some new Daily Challenges for us to complete on Club Penguin Island! 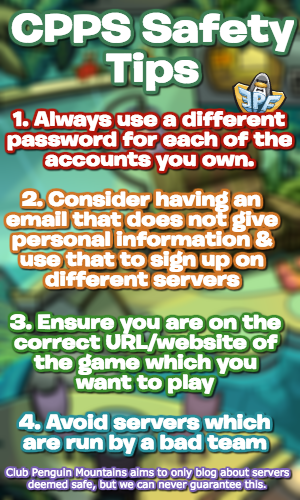 As always, here is a tutorial on how to do so! Sorry about being slightly later than usual, I’m not feeling too well today. Head over to Mt. Blizzard and go to the Rescue Hut, which is on the far right of the area past the cannon to the top of the mountain. Once there, open up your quick chat bar and say 3 of the things in the light blue bubbles, then claim your reward! Head underwater and dive in! You need to get to the Party Submarine but you shouldn’t take the first entrance there. Rather go down a bit towards where the sea urchins are. When you see a sign for the Party Submarine which has an arrow pointing left, go left. There’ll be a yellow bit like below, swim to it, and claim your reward! Opposite the entrance to the Throne Room in the Sea Caves, there will be a crab and a sign pointing toward’s the Crab’s Den. Follow the sign and go through the traps in the Crab’s Den until you reach the end. Once you’re at the end, literally swim into the crab sitting on the chair to claim your reward! That’s all for today’s Daily Challenges guide, I hope it helped! 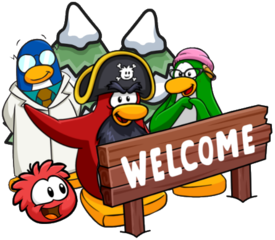 Thank you for reading, waddle on!